Wayl of a Time Catering is one of the best wedding catering companies in Tampa. 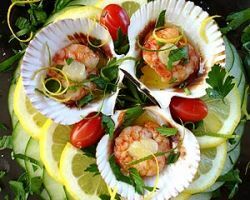 The owners have over 50 years of combined experience in the catering industry. They know how to create an unforgettable menu that you and your guests will love. They make the presentation of the meals and food look like works of art. You can browse their menu for lunch or dinner options. If you do not see your favorites like Mexican food or crawfish then you can request dishes and this company will accommodate. 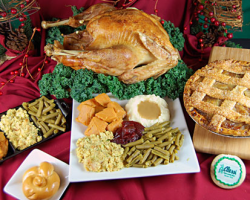 G. Elliot’s Catering is a full service company that has been offering catering in Tampa, FL since 1993. This family owned business has created beautiful food displays and served delectable meals at a wide range of events including weddings. This company has the experience you would want from your wedding caterer. They know all of the tricks to make your dining experience enjoyable, the food delicious and the atmosphere intimate. You will love having your wedding reception catered by this expert team. The tone of your wedding reception will be set from the beginning, which is generally the dinner. When you want the best catering service in Florida for your wedding then you need to work with Simply Gourmet. This company has the experience needed to make your wedding reception one you and your guests will never forget. They will do everything they can to eliminate stress on your big day. 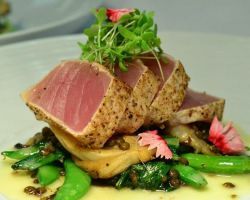 They customize their services to your tastes and ensure all of the food is fresh and delicious. 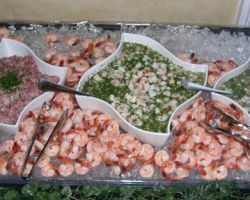 Gaston’s Culinary Services is a top rated Tampa catering service. This company has experience serving meals at weddings, galas, charity, corporate events and more. 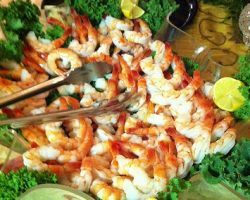 Whether you need catering for a group of 50 hundreds of guests, this caterer is one of the top local caterers because they are able to customize their services and their menus. They can serve in any style you would like including buffet, stations, gourmet displays or plated dinners. They can make a custom traditional BBQ or Italian catering based on your favorites. When you want easy and affordable catering, you should hire Alessi Catering. This company has sandwiches and comfort foods of all kinds. You and your guests will be treated to everything from mac & cheese to roasted turkey based on your tastes and what you choose. The best thing about this company is that they have experience with party and corporate catering as well as holiday and wedding catering too. For relatively cheap prices, you can have delicious catering on your big day.